Operating Pressure : 2 bar (30 PSI) minimum and 4.2 bar (60 PSI) maximum. We are enlisted amongst trusted and prominent industries for offering an extensive range of Water Sprinkler. 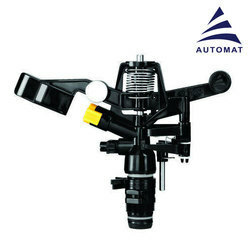 The Water Sprinkler are used for watering plants, garden and many more. 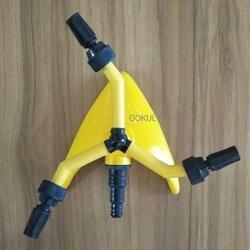 Moreover, these Water Sprinkler are easy to use and quality tested. Foam Water Sprinklers are open and air aspirating type. The pattern of coverage is similar to the conventional sprinkler head. The Foam Water Sprinkler has standard orifice with K-factor of 42. We offer a wide range of Light Hazard Pendent Sprinklers. These are light in weight, highly flexible, simple to operate and easy service and repair. We offer our clients with high quality Water Sprinkler at highly competitive prices. These can be provided to our clients in customized sizes and specifications as per their requirements. Moreover, these are stringently tested for quality before supplying these to the clients to ensure that they get a qualitative range. a) Neatly designed Metal watering container which can beautifies your garden or home with a hint of class.